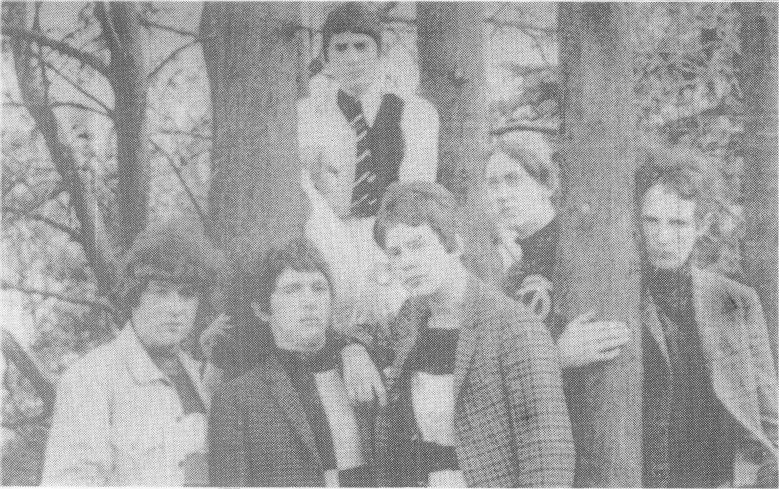 The original Intentions in 1965, LR: Joe O'Donnell, Cha Haran, Guido Di Vito, Johnny Duhan, Joe Heelan, Jack Costelloe. 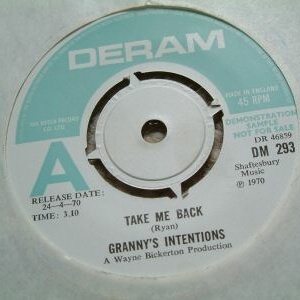 Granny's Intentions began life as an R&B group (name?) formed by schoolfriends in Limerick in 1965. They were led by Johnny Duhan (born 1950 or 1951). The Rolling Stones were a big early influence, as was the collection of blues records owned by one of the early bandmembers (Ger Tuohy?). The early lineup also included a singer/harmonica player who left after overhearing criticism of his performance at one of their first ever gigs. His replacement was Cha Haran of the Fifth Edition, who became co-lead vocalist. 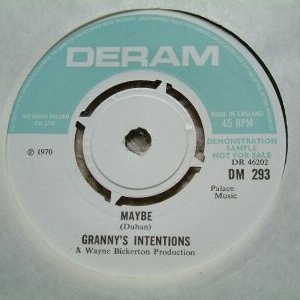 The band changed it's name to The Intentions and incorporated a soul and Motown influence beside the R&B, including covers of "Move On Up", "Dancing in the Streets", etc. in their set. 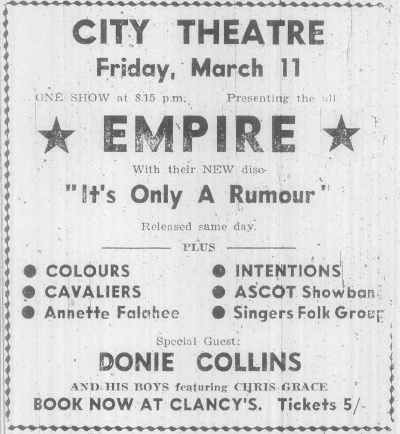 The comings and goings of the early lineups are unclear as yet, but the band was a sextet in 1966 and the other members apart from Duhan and Haran were (probably) Joe Heelan AKA Rip (guitar, who'd replaced one Bobby Driscoll), Joe O'Donnell (lead guitar), Jack Costelloe (bass) and Guido Di Vito (drums). Di Vito was considered a limited drummer by some. 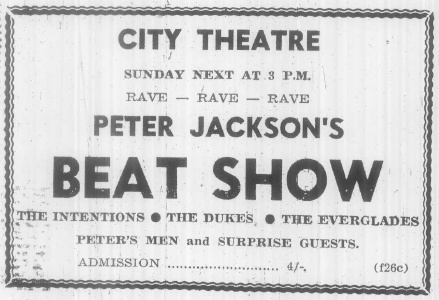 above: The Intentions included in the lineup of DJ Peter Jackson's Beat Show at the City Theatre, Limerick, February 1966. 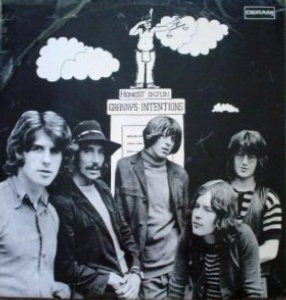 The Intentions played clubs in Limerick such as Orlandos (also supported The Ludlows at The Savoy in June 1966) and then further afield, beginning with the Go Go Club in Cork. It was also in a club in Dublin where they spotted keyboard player John Ryan, originally from Athlone, playing with The Circle. 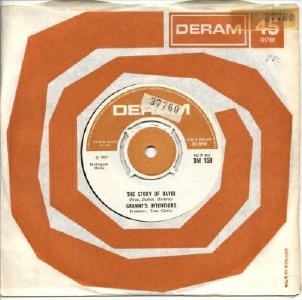 Cha Haran invited Ryan to play organ on a couple of songs the band was recording at Pete Selwood's basement studio in Dublin in the autumn of 1966. This was the first time Ryan met the band. joined the Intentions, filling out their sound. Heelan and Joe O'Donnell left, and John Hockedy became the sole guitarist in 1966. After another Dublin gig, they were approached by someone (name?) who worked in advertising and was looking to manage a band. They accepted his services as manager. He arranged a residency for the group in Germany, a move which required a deeper level of commitment from the group. So Duhan left home (aged 16), and the other members burned personal bridges to varying degrees in order to commit to this trip, so the disappointment was considerable when it all fell through, and they ended up living in their managers flat on Leeson St. They soon ditched him and relocated to Dun Laoghaire. One can only hope the demos recorded in this era have survived and will one day see the light of day. 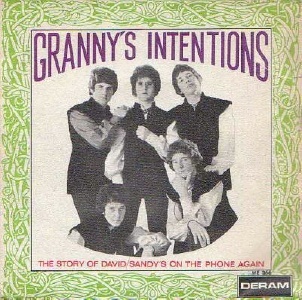 Brian Tuite (ex Stellas) became their manager during 1966 and the band changed it's name to Granny's Intentions. Taking him on meant making a serious commitment to the band, including a move to the UK when the time was right, and sorting out what was perceived to be a drummer problem. Tuite arranged tours in England, Scotland and Germany. These tours must have helped the band develop their beat/psych sound. By 1967 the time was ripe to relocate to London. Once in London, the band played all the well known clubs of the era, including the Speakeasy, Pink Flamingo and Marquee Club. The upheavels of this period inevitably led to interpersonal wrangling which finally ousted DiVito from the drum seat, something Duhan later regretted in his autobiography. He characterises it as killing the spirit of the group and marking the beginning of the end, though drugs and the general lifestyle of swinging sixies London also played a role (John Ryan was also reputedly unhappy with the doper element in the band). DiVito's replacement was Dubliner Greg Donaghy. 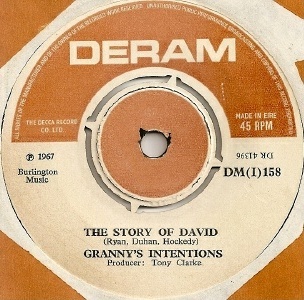 At an outdoor gig at Glastonbury, they came to the attention of Deram A&R and signed a deal with the label in 1967. They subsequently moved into the Madison Hotel, a musician hangout in London at tha time. 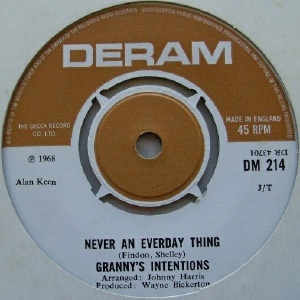 The Grannys would record four singles and one LP for Deram Records. 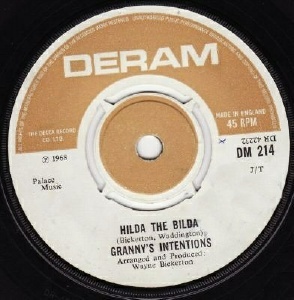 The first three singles were released between November 1967 and October 1968 and contain all non-LP material. Deram assigned staff producer Tony Clarke to look after them for the first of these. 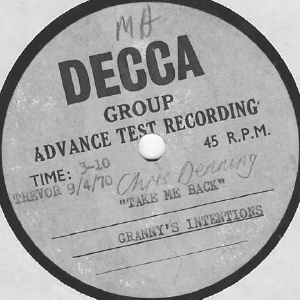 Clarke had made his name producing the Moody Blues. 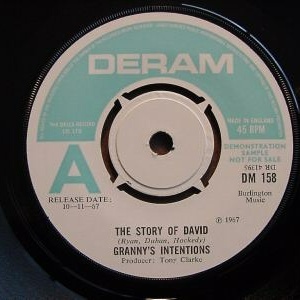 Under pressure to come up with some originals for the recording sessions, Duhan, Ryan and Hockedy wrote "The Story of David", a remarkable song by any standards. Released in November 1967, it is easily their best single, a distinctive beat/psych track with an inventive arrangement and melody and undoubtedly packed with commercial potential. 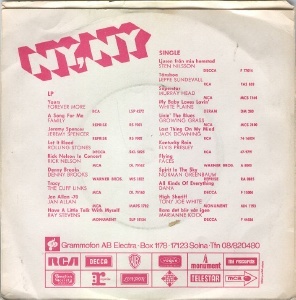 The B-side "Sandy's On The Phone Again", a Ryan composition for the most part, was another strong track. This single should have been a hit, but like so many singles on Deram at that time, it wasn't promoted properly and it failed to chart. 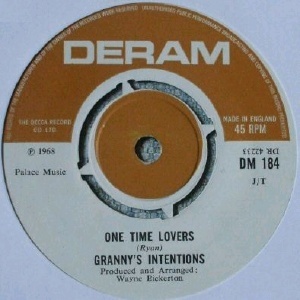 Recording for Deram brought Cha Haran's role in the band into focus. Ryan and Tuite felt there was no real place for him anymore, and his contribution had diminished to providing backing vocals only. Not being chosen to sing either side of their debut single spoke volumes. With Duhan doing all the main vocals and Haran missing his family back home, he decided to leave and returned to Limerick. He later joined the army. Granny's Intentions returned to Ireland in December 1967, appearing on the Late Late Show and making the front cover of the RTE Guide (send us a scan if you have a copy of this!--ed). They did a 2 week tour of Germany in early 1968 before returning to the studio in London for sessions for their second single. 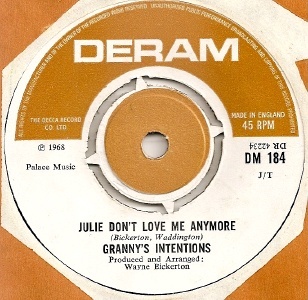 After the flop of the debut, they were assigned a new producer Wayne Bickerton, who suggested one of his own songs. 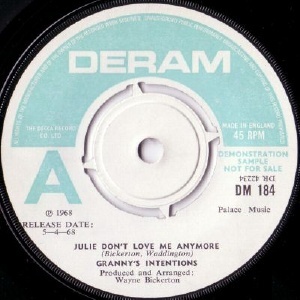 The band didn't like "Julie Don't Love Me Anymore" but they didn't put up much of a fight and recorded it anyway. 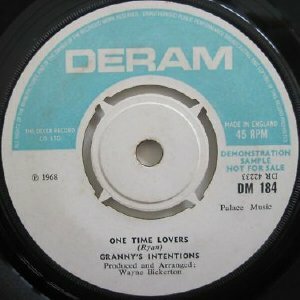 They didn't like the results but Deram released it, in April 1968, with Ryan's "One Time Lovers" on the B-side. It flopped too. Duhan and Hockedy shared a bedsit in London where Hockedy began to teach Duhan the basics of guitar playing. 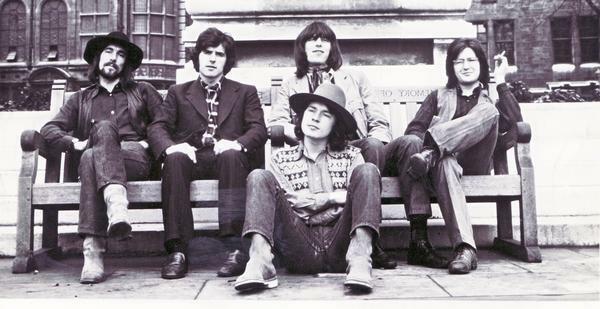 During 1968 a folk influence began to appear in the band's new material. Bob Dylan and Tim Hardin covers were added to their live set. In March 1968, they played a big show in Dublin, and in August they appeared on RTE TV's Twenty Minutes With... show, performing covers of The Who, Frank Zappa and Tomorrow. They appeared on RTE's Like Now on 28th September 1968. Alas, neither show exists in the RTE archive and is presumed lost. 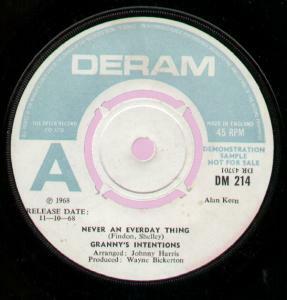 In October 1968, the third single was released, with the whimsical toytown popsike of "Hilda the Builder", another Wayne Bickerton song, on the B-side and "Never An Everyday Thing" on the A-side. This was a horn-fueled, orchestrated pop ballad arranged by Johnny Harris, not unlike Love Affair or the Marmalade, and was clearly an unabashed bid for pop success, forced on the rest of the band by Duhan - and it worked! Though it wasn't successful in the UK (where another artist released a version of it at the same time -- anyone know the details? -- thus reducing potential airplay), it was a big hit in Ireland, reaching #7 in the charts. This prompted manager Brian Tuite to book the band for a tour of the ballroom circuit in Ireland. A beat group playing the domain of the showbands was an unprecedented move at the time, and it proved to be a great success. This success in turn would prove to be very influential in Ireland. Beat group/showband amalgams (Frankensteins?) like the Dreams and the Real McCoy soon emerged, breaking the showband stanglehold on the ballroom circuit. The band made made the cover of the RTE Guide (again?). To capitalise on this success further, Royal Showband manager Connie Lynch suggested adding a horn section and turning Granny's Intentions into an octet, but the band was not enthusiastic. Brian Tuite tried to entice Duhan and Donaghy away from the Grannys into a new (super)group he was assembling called Blue, with two members of the Orange Machine. 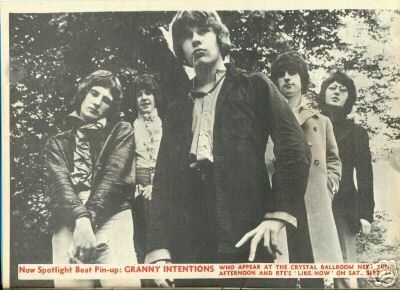 The Granny's Intentions lineup that started recording the Honest Injun LP in 1969. 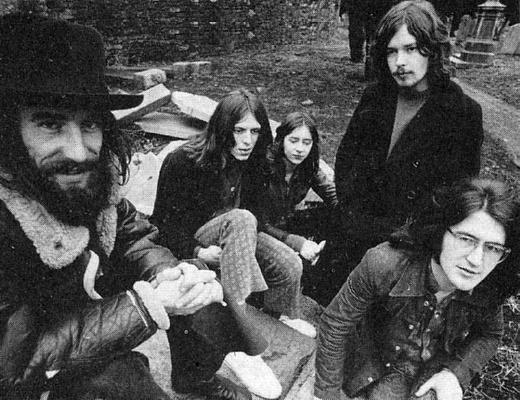 Meanwhile, the band entered 1969 with plans to record an LP for Decca in March and hopes of a US tour, but the lineup had splintered by May. Greg Donaghy took up the offer to join Blue, would prove to be short-lived, and Jack Costelloe left around the same time, leaving the Grannys as the core trio of Duhan, Ryan and Hockedy. The band had returned to Dublin by this point. Duhan was living back in a flat in Ballsbridge which he shared on occasion with Phil Lynott and Gary Moore. The band had played the Spotlight Winners Poll concert in Dublin in March, but I'm unsure of the lineup for that gig. Though they'd returned to Dublin and their recent UK tour had been poorly attended, they were still hoping to record an LP. Deram were happy to commit to it on the strength of Duhan's latest demos. By the time of the sessions for the LP in mid-1969, a country rock influence had crept into the band material thanks to The Byrds seminal "Sweetheart of the Rodeo" album. Dublin band Dr.Strangely Strange and the Incredible String Band had also made an impression. During the LP sessions the core trio was helped out by various musicians including Pete Cummins (ex Grassband, The Circle) on bass & flute and Noel Bridgeman (ex Skid Row) on drums. Bridgeman returned to Skid Row after 3 tracks had been recorded though he appears in many promo photos taken in 1969. His replacement was Pat Nash (ex Uptown Band). Skid Row guitarist Gary Moore guested on three tracks. Cummins and Nash both joined the Grannys permanently. The debut LP was released in March 1970, titled "Honest Injun". The front cover consists of a photo of the group superimposed over what was supposed to be a rough sketch of an idea for the cover artwork, submitted by John Ryan to the Deram art department. He was appalled when he discovered they'd used his sketch 'as is'. The LP itself is in a more progressive vein than the singles and is often (inaccurately) compared to Jethro Tull. 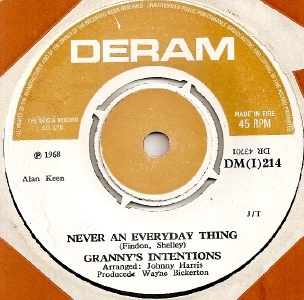 It was considered a slight disappointment at the time of its release but someone at Deram must have liked it because the label was interested in a followup. Duhan had argued with the producer during the LP recording sessions and was subsequently banned from the control room. He believes his voice sounds thin and unnatural on the album. 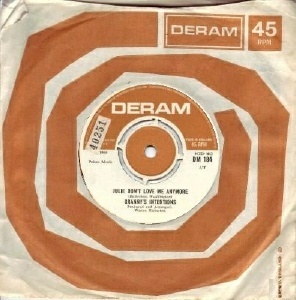 The band ended their relationship with manager Brian Tuite after the LP release and with the promise of a second album from Deram based themselves in the UK again. 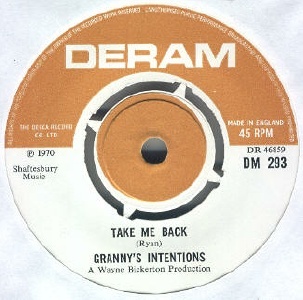 A new song "Take Me Back", penned by John Ryan, was released on the A-side of the band's last single, released in April 1970. John Hockedy left shortly after (ca June 1970) to study classical guitar and was replaced by slide guitarist Ed Deane. 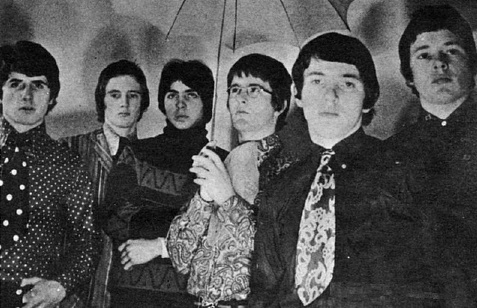 In June 1970 they signed a new management deal with John Gee of Marquee Artists' Management in London, associated with the Marquee Club, where they subsequenly played frequently over the following months, including a successful Thursday residency during the month of August (on the 6th, 13th, 20th and 27th). The same month they also also appeared at the 10th National Jazz and Blues Festival at Plumpton Racecourse, and Gee also arranged a two week residency at the Boom Boom Club in Frankfurt. 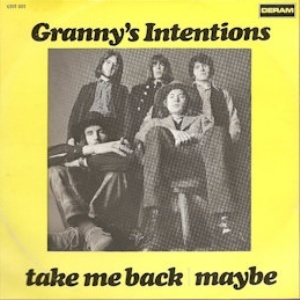 During this period they were usually billed as Granny's New Intentions, though they were still Granny's Intentions for a short Irish tour in July 1970. 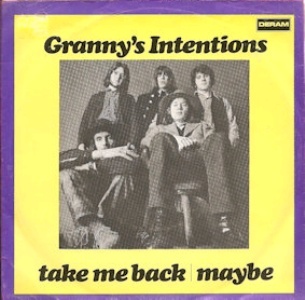 1970 Plumpton Festival featuring Granny's 'New' Intentions on Sat August 8. With the offer of a second LP for Deram still on the table, the Grannys regrouped in a cottage in Killala Bay in Co.Mayo to work on new material but the spirit wasn't there anymore. Duhan's sombre and abstinent leanings and his interest in an acoustic, non-rock music were at odds with the drugs/party lifestyle of the rest of the band. The band in return didn't like Duhan new songs much, complaining that they were too folky, too acoustic and "lacked a groove". Duhan didn't like their arrangements of his new songs either. He also refused to do any more covers. When his new songs were rejected by the rest of the band, Duhan decided it was time to leave the group. The Grannys soldiered on without him for a while before splitting in early 1972. Johnny Duhan seemed to disappear for the rest of the decade but he has sustained a solo career since 1980. See his entry for more details. 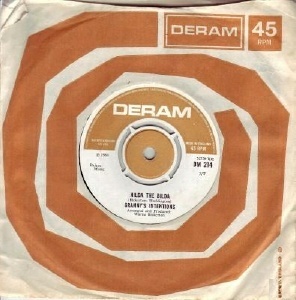 Jack Costelloe and Guido Di Vito formed Jeremiah Henry with Johnny Fean pre Horslips. Both may also have been involved in the recording of the Irish Baha'is LP. 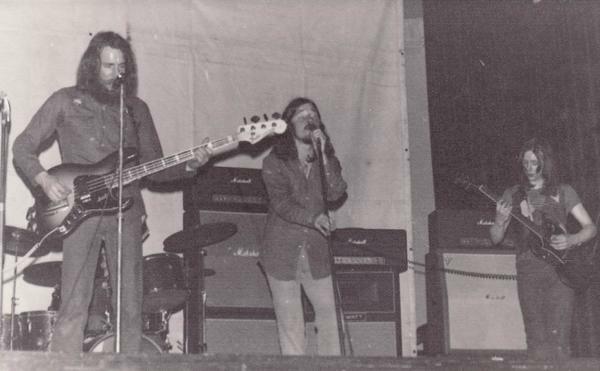 John Ryan and Pete Cummins later played with Donovan (1972) and were later in The Fake (1976) with Freddie White. Cummins also managed Tony Koklin (1980-) and in 1985 joined the Fleadh Cowboys. He also worked with the Chieftains among others. Greg Donaghy was later in Blue and The Gentry. Pat Nash and Ed Deane played with the Woods Band and subsequently in Gay & Terry Woods backing band. Village (Limerick), Blaze, The Outfit, Brush Shiels, Johnny Fean, The Rake N'Ramblers, Granny's Intentions. 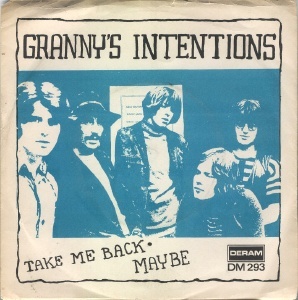 Granny's Intentions reformed for a series of reunion gigs in 1983, beginning on August 28 with an open air event at Limerick's Markets Field which drew a crowd of 4000, followed by a date at the Glentworth Hotel on November 4th and Dublin's TV Club on November 11th. 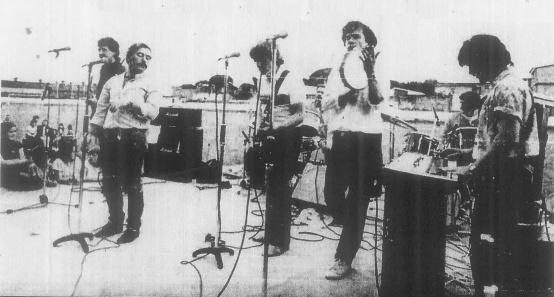 The lineup included Johnny Duhan (vocals), Cha Haran (vocals), John Ryan (keyboards), Johnny Hockedy (guitar), Jack Costelloe (bass), Guido Di Vito (drums) and Greg Donaghy (drums). They played an all originals set. They reformed again in December 1990 for a one-off gig at The Speakeasy, where John Hockedy performed regularly with different guests. 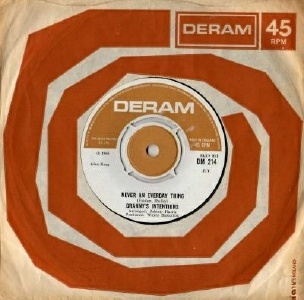 "Honest Injun" was finally reissued on CD in 2004 by Lemon Records (now OOP) but the 1967-68 singles were not included. If ever a band was crying out for a deluxe reissue package, this is it. 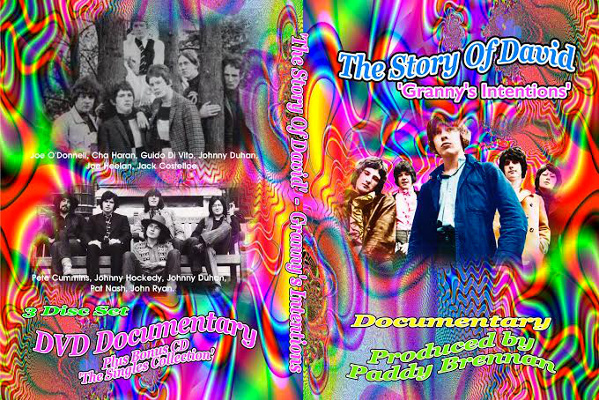 In 2014, Paddy Brennan of the Limerick Rock & Roll Club completed a documentary about the band called 'The Story of David'. This hour long documentary features interviews with all the main participants in the story (except John Ryan, alas). It was made released together with a singles CD and a live DVD (of recent vintage) in a 3-disc pack which was available direct from Paddy but which is now sold out. 67 Nov 12 Saville Theatre. with The Nice, David McWilliams, The Span, Ten Years After. Invited onto the bill by Brian Epstein. 67 Dec 23 Jetland Ballroom, Limerick, supported by The Agents. 68 Mar 16 Sat Jetland Ballroom, Limerick, supported by The Casino. 68 Jun 03 Mon Jetland Ballroom, Limerick, supported by The Ascot, The Reforms. 68 Aug RTE TV Special, Twenty Minutes With..
68 Sep 07 Sat Jetland Ballroom, Limerick, special guest appearance with The Cadets. 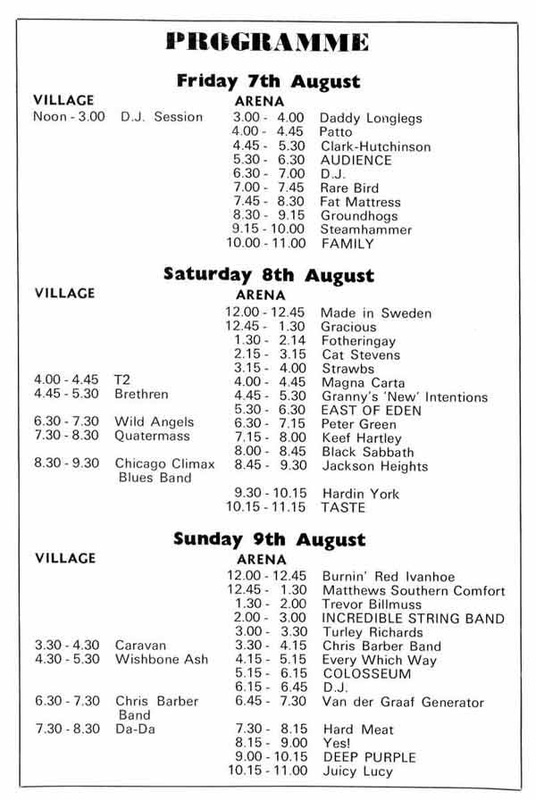 70 Aug 08 The 10th National Jazz, Pop, Ballads and Blues Festival at Plumpton Race Course (6th-9th August 1970). 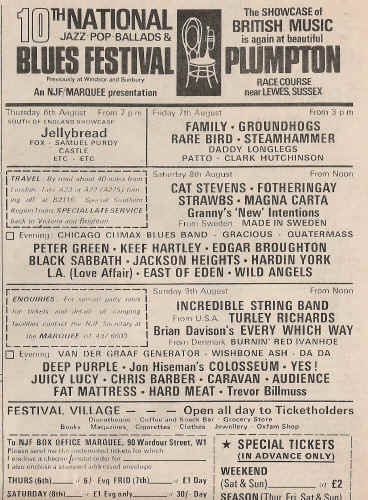 Line-up for the Saturday: Cat Stevens, Fotheringay, Strawbs, Magna Carta, Granny's “New” Intentions, Peter Green, Keef Hartley, Taste, Black Sabbath, Jackson Heights, Hardin York, LA (Love Affair), East Of Eden. Notes: This 3-disc set was compiled by Paddy Brennan. It consists of a documentary DVD, a live DVD and a compilation CD. The latter includes one previously unreleased track: a demo of "Loving You Is Sweeter Than Ever", recorded in London in the late 60s.